Pancakes tossed by bears, policemen, strawberries, sun girls and many more. 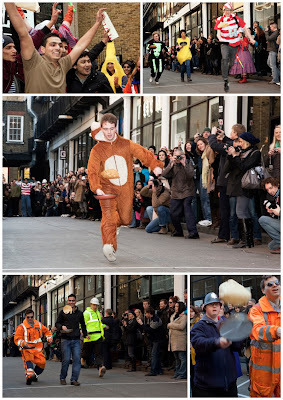 Shrove Tuesday in Bricklane organised by alternative arts to raise money for London's air ambulance was loads of fun. We do pancake fundraisers here in USA too (Wisconsin). There's a man with a giant pancake machine and he flips the pancakes onto your plate. He's wildly popular. Who doesn't love pancakes? I had a pancake party with some friends. We made waaaay too many pancakes and I came home stuffed! 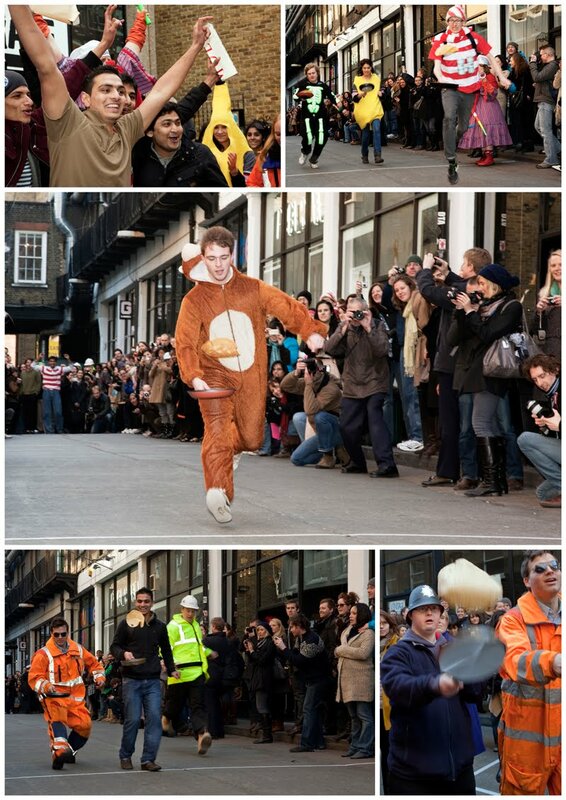 We do have the daftest festivals! Bring it over to Stavanger, the Pancake Day- or the Shrove Tuesday! Looks FUN!